Average overall ratings - Based on 10 reviews. San Sebastian is located in the north of the Basque Country on the southern coast of the Bay of Biscay, in the Spanish province of Gipuzkoa. The surrounding area is lush and picturesque. It’s a beautiful city, which presents a wide variety of things to do all year round and all day long. 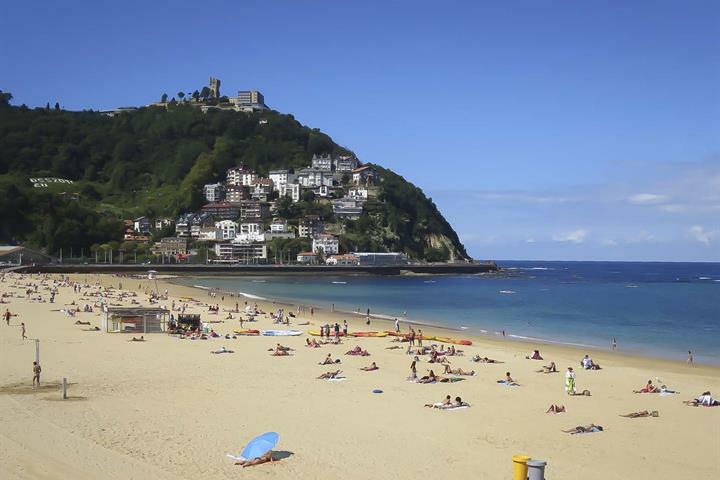 Often regarded as the summer capital, as a large volume of pleasure seekers flee the heat of inland Spain and come to San Sebastian’s more relaxing location, to enjoy its sun kissed beaches and gorgeous mountain scenery. The city plays host to music and film festivals, and many other festivities too, including carnival. 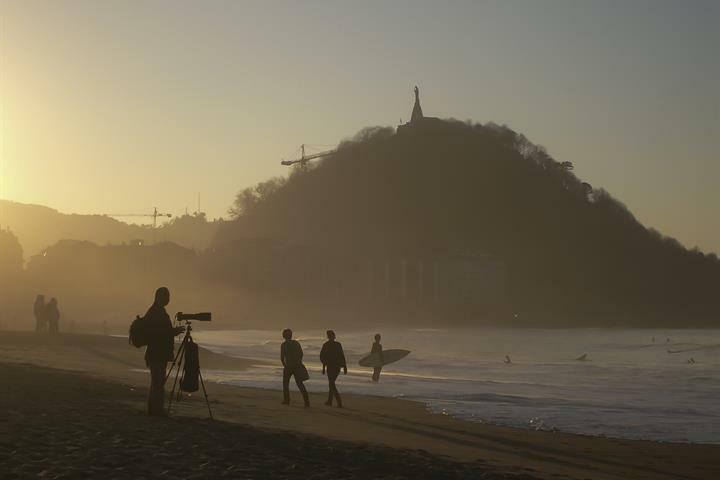 The city of San Sebastian is well connected by rail, road, air and sea. 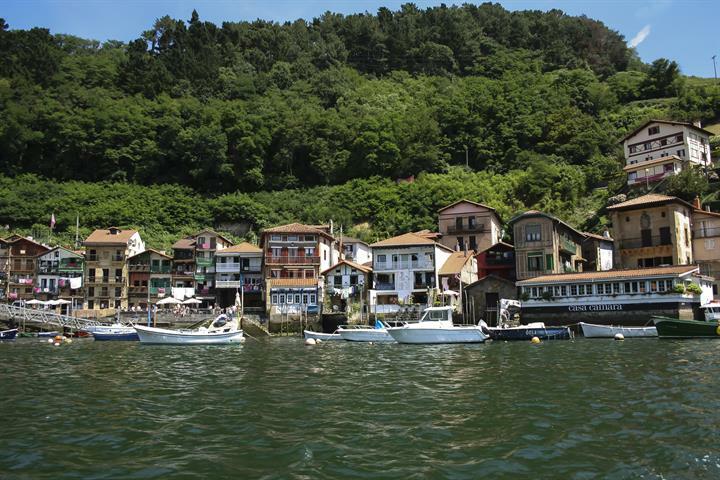 It is one of Spain's and the Basque's true highlights, a must see destination! Situated on the Bay of Biscay, San Sebastian is a real treasure in the Basque country resort selection, setting itself apart from the mainstream beach resorts. 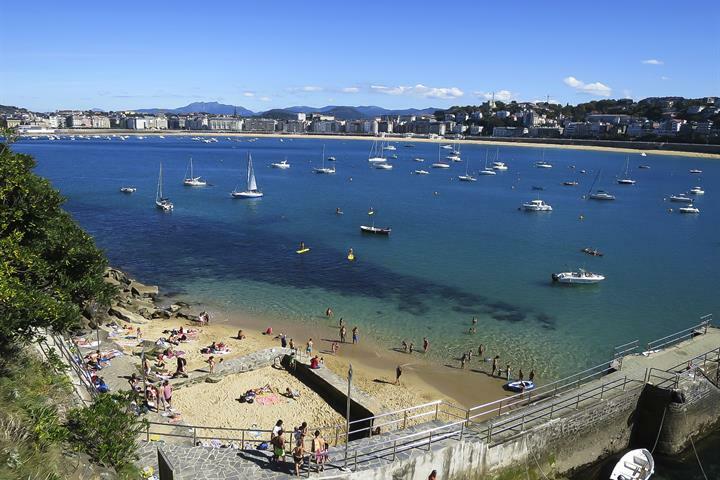 Playa de la Concha is San Sebastian’s most popular beach and the largest for summertime swimming and sunbathing. The beach looks out onto the breathtaking bay and is surrounded by fertile rolling hills. Whilst at the beach you can enjoy all the water activities you would expect from a popular beach resort such as, kayaking, canoeing, jet skiing, parasailing, sailing etc. The beach is as spectacular by night as it is by day, being illuminated by a crown of white lights, which makes a nighttime walk along the promenade, a divine option for a pleasurable stroll after dinner. Connected to Playa de la Concha is the Ondarreta, meaning 'little beach', which as the name suggests is a small beach a bit further along from Playa de la Concha, but nonetheless a lovely place to spend your days or evenings. There are a myriad of attractions and activities to enjoy during the day in San Sebastian; the charming old quarter is bursting with cafés, bars and restaurants, where you can try their tasty Pintxos (style of tapas). If you are looking for cultural attractions, then visits to the baroque church of Santa Maria, the Gothic church of San Vicente and the Museo de San Telemo, a museum set in a former 16th century convent, are all worthwhile. A must see is the Miramar Palace, also known as the Royal Country House of Miramar, located above the Pico del Loro (the dividing point between Playa de la Concha and Ondarreta). With its parks, gardens, buildings and outbuildings the Miramar Palace is the quintessential summer palace. At the heart of the city is Constitution Square, the original setting for San Sebastian’s bull fighting; the balconies surrounding the square are numbered as they used to be rented to spectators. 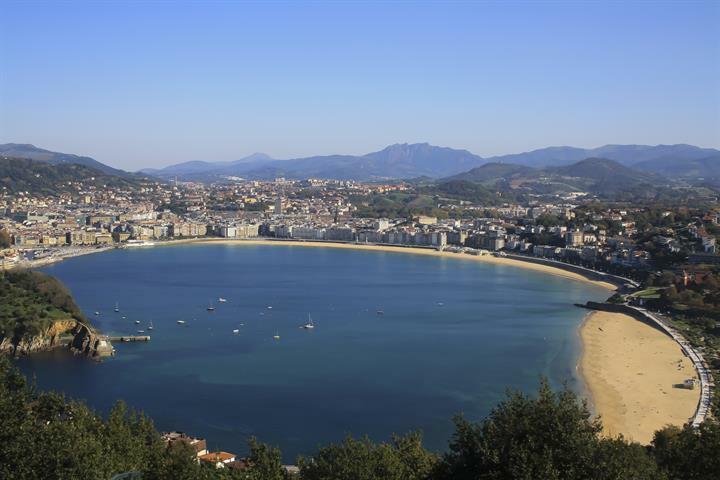 For people who prefer their views to be naturally spectacular, then we highly recommend an ascent to the summit of Mount Urgull and Mount Igueldo, where the panoramic views to the city and its bay are awe-inspiring. As you can imagine San Sebastian has many options for fine dining throughout all quarters of the city, especially recommended are the restaurants along the Playa de la Concha promenade. As for nightlife the city offers up some of the countries most vibrant and welcoming bars and clubs where everyone can enjoy themselves until the early hours of the morning. For those who don't fancy the nightclub scene a simple walk along the beach or promenade, or through the cities old quarter can be a magical experience in the twilight hours. 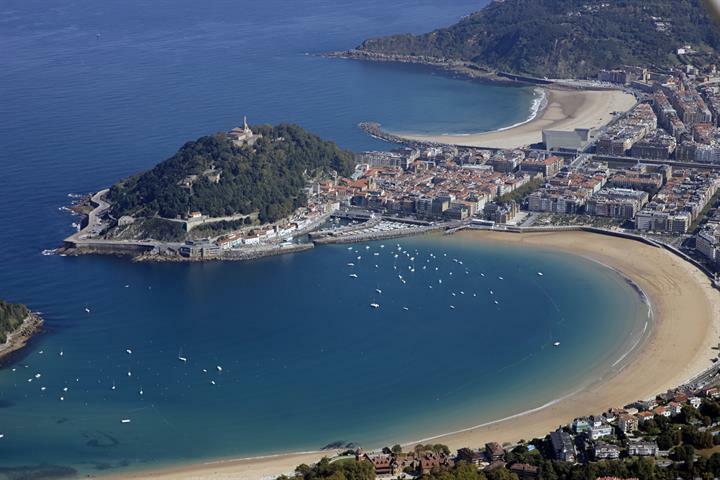 San Sebastián is renowned for basque cuisine and boasts some of the worlds best restaurants. Most notably is the restaurant Arzak, booking in advance is recommended, the restaurant has been awarded the Michelin Stars of excellence and its owner and chef Juan Mari Arzak has been hailed as a great innovator for Basque cuisine. For a simpler meal you can find pintxos (similar to tapas) in the old quarter, they can be a tasty snack or a healthy meal, all depending on how much you eat. San Sebastian offers one of the most appealing climates in the whole of Spain, it is temperate and stays lush and green all year round. The average temperature in the summer around 22 ºC and rarely falls below 8 ºC in the winter. 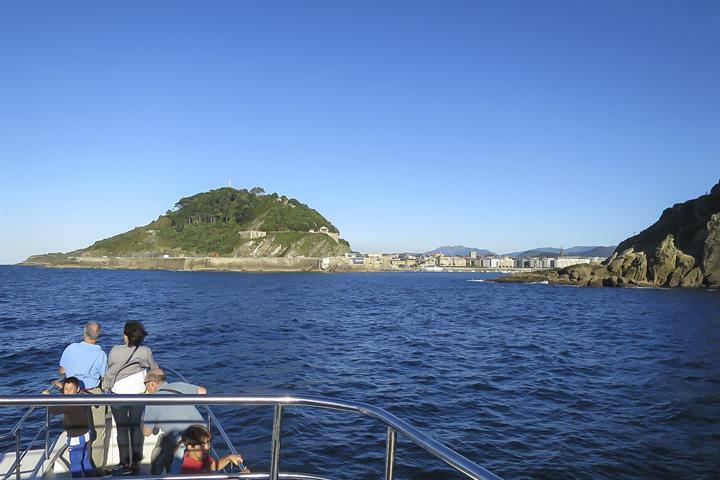 Enjoy the beautiful coast of San Sebastián from the water! Trips by boat, kayak or paddle board offer unique views of the city, beach and mountains.